Now it's easier than ever to have lush, colorful plants along a deck railing. 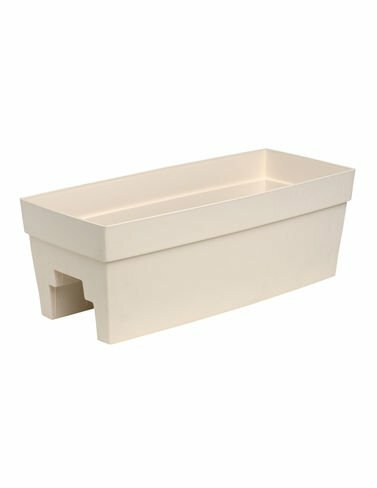 This cleverly designed planter securely straddles rails made from both 4" and 6" milled lumber (actual width 3-1/2" and 5-1/2") — no mounting hardware needed. Best of all, it's self-watering; simply fill the reservoir and plants receive water as they need it.